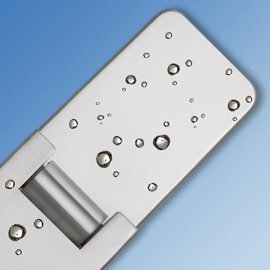 The GX991 series of hinges are manufactured from selected brass billet which is drop forged, polished and plated. All gaskets supplied are water impenetrable. Available in both polished or satin chrome finish.